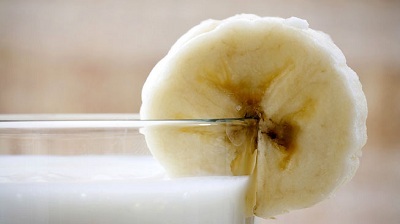 Home banana bloat health yogurt Feeling bloated? Add bananas to yogurt to erase the bloat. Research shows that up to one in four women develop bloat-triggering intestinal yeast infections in the summer. Yogurt's cultures combined with banana's antifungal minerals can help squash yeast overgrowth.